On October 1 2017, Catalan citizens were called to the polls to decide whether they wanted to become an independent Republic or remain a region of Spain. This self-determination referendum had been promoted by the Catalan regional government with the support of civic organizations and a large part of the Catalan population. But there was one problem: the Spanish government was staunchly opposed to its celebration. As the day of the referendum approached, Spanish police and public prosecutors increased their repressive actions against Catalan citizens and institutions, including the seizure of websites, print houses, postal mail, and any other means by which the referendum could be carried out. In spite of the repression, citizens occupied the polling stations days before the referendum in order to prevent the police from shutting them down. During October 1st, in an exemplary show of self-organization and resilience, thousands of people kept the polling stations open, defending ballot boxes with their bodies as policemen armed with riot gear tried to seize them by force. Hundreds were injured by the batons and rubber balls indiscriminately used by the police against peaceful voters. In spite of coordinated DDoS attacks throughout the day, anonymous citizens managed to sustain the computer systems used for voter registration. At the end, more than 2 million people were able to cast their ballot. But police brutality and the repressive actions of the Spanish state seriously disrupted the polling and managed to put into question the final results. Inspired by these dramatic events, I began at the end of November 2017 to develop a blockchain application that would allow any concerned group of citizens to organize a referendum and deliver accurate and auditable results without having to rely on a central authority. The project aimed to strengthen grassroots democracy around the world and give people the ability to exercise their right to vote on any question they deemed relevant, whether central institutions and authorities approved the vote or not. My interest in decentralized, direct democracy was not new. In my book Habitat: The Ecopolitical Nation I had already argued for the need to extend it as much as possible in order to achieve more sustainable and resilient commonwealths. But now I felt it was the time to work on a practical tool that could help to bring this ideal closer to reality. The first thing I needed to do was to devise a system for voter registration that would guarantee the anonymity of voters while ensuring that everyone casting a ballot was authorized to do so and that no one would be able to vote more than once in the same election. Centralized voting systems solve this problem by using official censuses and polling stations. For obvious reasons, a decentralized system could not rely on this machinery. Fortunately, modern public-key cryptography offers the necessary tools to build systems that provide both anonymity and verifiability without relying on a central authority. In the Bitagora implementation, voters submit their identification to a fully automatic Certifier script that checks the validity of the information according to the requirements set by the promoters of the poll. If the identification is valid, the Certifier script generates a private key that is deterministically derived from the voter identification using a hashing function that would prevent an attacker from recovering the identification information of the voter even if he got hold of the private key. The Certifier also generates a token that includes the public key derived from the voter private key using the elliptic curve secp256k1 protocol, the same cryptographic cypher underlying Bitcoin. The Certifier signs this token with its own private key and sends the signature and the voter key back to the voter. With this key, the voter can then cast a ballot in the poll. Once I had set up the registration system and a user interface (both mobile and web) that voters could use to register and cast their ballots, I still needed to develop the core functionality of the decentralized network of validators that had to sustain the trustless voting system (i.e., a blockchain). One very attractive possibility was to build the voting system as a DApp running on the Ethereum Virtual Machine. But that would have required voters to interact with the network using a cryptocurrency. Without owning some amount of Ether, or some other fungible token, voters would not be able to pay for the transaction costs involved in executing the Bitagora smart contract. This didn’t look like a scalable, or even fair way of setting up a voting system that could be used by a large number of voters in a real election. So I quickly discarded relying on any existing blockchain and opted instead for building my system using a private blockchain that would be sustained by volunteers and be completely free for voters. After reviewing several of the frameworks currently available to build such a system, I chose Hyperledger Sawtooth. As I started to work on developing the validator software using the Hyperledger Sawtooth framework, I also found that there was a very active community of engineers and developers exchanging information, ideas and support on the Hyperledger chat. Whenever I had a question I could not solve on my own, I would post it there and quickly receive valuable suggestions and advice from the Sawtooth team or from developers working on other projects. On some occasions, this chat was a lifesaver! At the beginning of August, after months of development, I finally distributed the code of the different Bitagora modules through Github under an Apache 2 license. 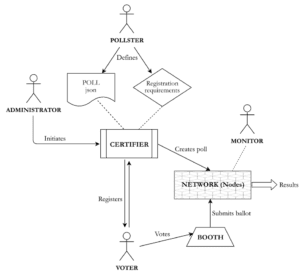 With the help of the Catalan Pirate Party, I had previously conducted several tests and the system performed really well, thanks in particular to the robust consensus mechanism employed by the Hyperledger Sawtooth network layer. The platform is now ready for anyone to set up and use in all sorts of elections. Since I am not a professional developer, I don’t have the time or resources to sustain this project on my own beyond its current state. 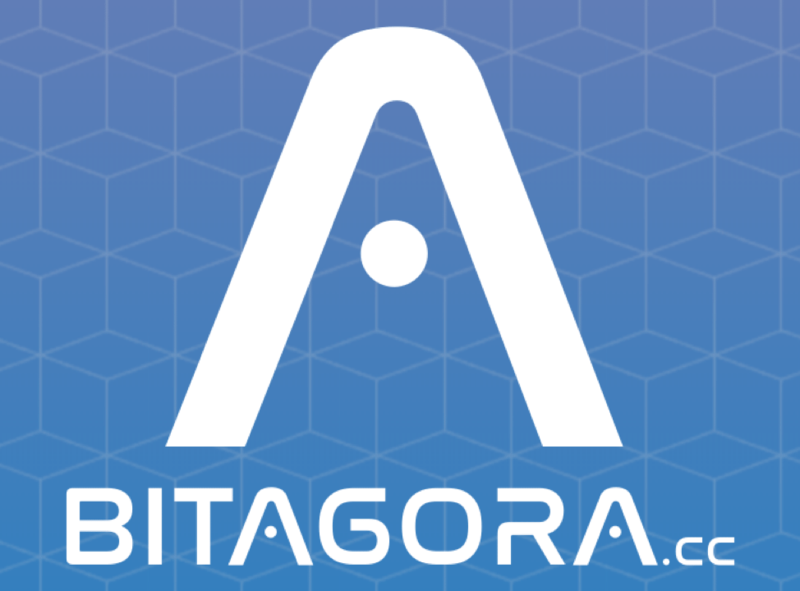 But I would be happy to work with other people interested in expanding and improving Bitagora in order to turn it into a fully functional and open-source tool that can enhance direct democracy and empower voters around the world.